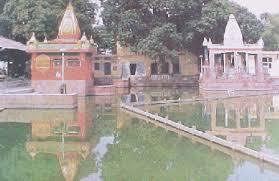 jwalamukhi is one of the most renowned ancient temples of Goddess Durga. It is believed that Sati's tongue fell here and the goddess is manifest as small blue flames that burn through fissures in the old rock. There is no idol is located in the temple and Jwalamukhi, or the deity of flaming mouth, is worshipped in the form of flames coming out of the rock. There is a small platform in front of the temple and a huge brass bell that was presented by the King of Nepal. The temple also has a mystic Yantra or diagram of the goddess, which is covered with, shawls and ornaments. The puja in the temple goes on almost the whole day with the aarti being performed five times in a day, and the havan once. The temple has the most beautiful location with the Dhauladhar range in the backdrop. It is found on a small offshoot on the Dharamshala-Shimla road about 20 kilometres from the Jwalamukhi Road Railway Station. 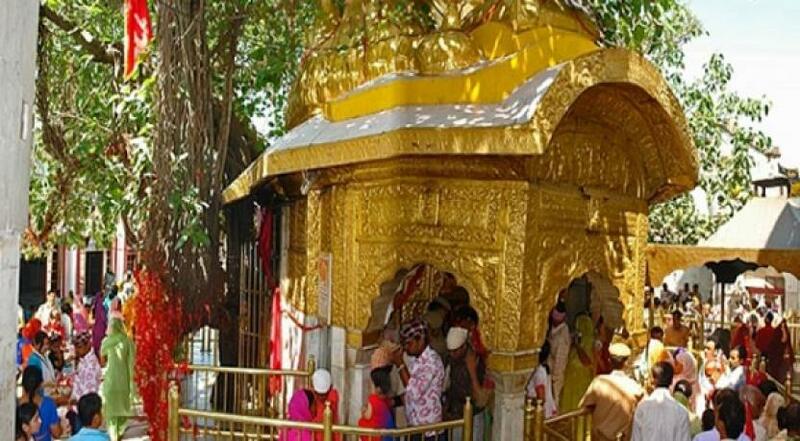 Jwalamukhi temple is one of the 52 Shakti Peethas and thousands of pilgrims visit the temple every year to seek the blessings of the goddess.